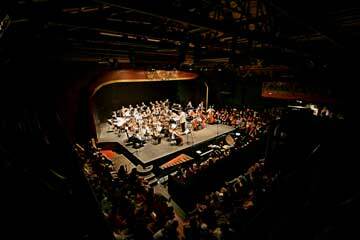 The French Woods Festival of the Performing Arts Summer Camp Music program is one of the finest non-competitive, comprehensive summer camp music programs in the United States. 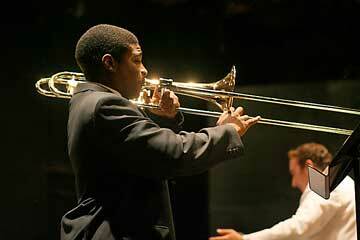 Students are given instruction on all levels and perform in ensembles based on their age/ability and schedule. Working conductors and musicians are at the heart of the professional faculty for the Summer Music Camp at French Woods. 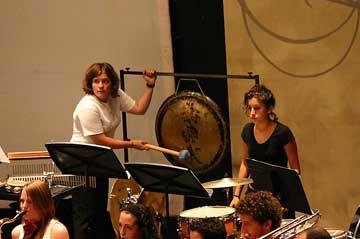 The counselor staff consists of music students and young music professionals. 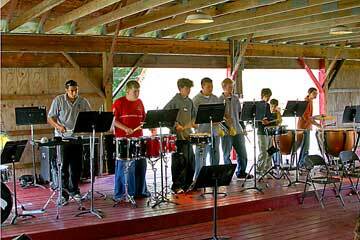 Unlike other music camps, French Woods doesn't require campers to audition before the Summer. Auditions take place after the student arrives and is placed in the appropriate skill level group and instruction is offered on any instrument. 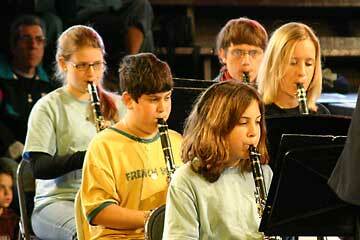 Young musicians at all skill levels are welcome to French Woods and will gain from the summer experience. 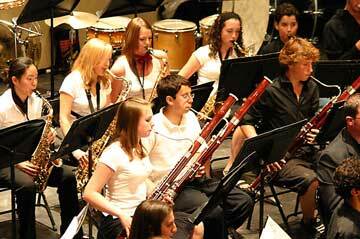 Both group and individual private lessons are available from the staff for all orchestral instruments (Bassoon, Bass, Cello, Clarinet, Flute, French Horn, Keyboard, Oboe, Percussion, Sax, Trombone, Trumpet, Tuba Viola, Violin, etc. ), piano, drums, voice and guitar. 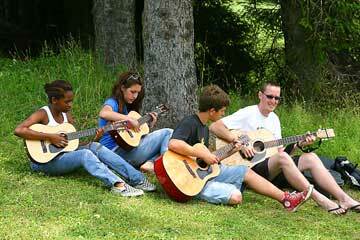 French Woods encourages a cooperative environment between music campers. 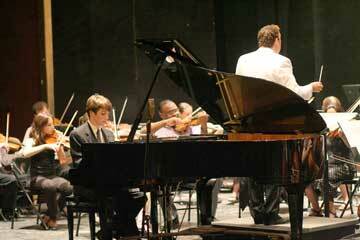 With this spirit French Woods' classical symphony is able to perform a concert within two weeks from the start of camp. 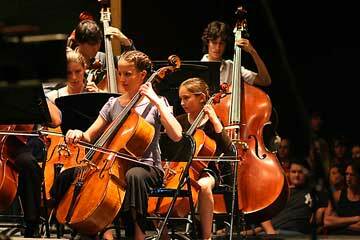 Other youth orchestras normally take months to be ready to perform. 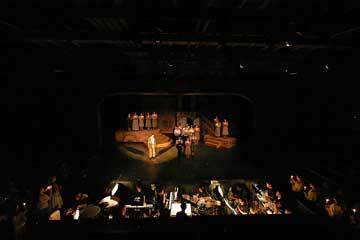 There is also the unique opportunity to work with the Theater Camp as a member of the pit orchestra for a Broadway production. 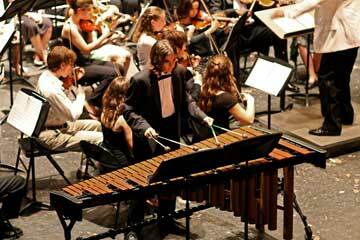 Besides our youth symphony we have concert band, a jazz program, and a great rock and roll camp. The Rock & Roll Camp has five rehearsal studios and a 36 track professional recording studio. Instead of just doing covers of other groups the bands at French Woods are encouraged to write their own songs and lyrics. Most rock campers leave with a professional level CD of their work for the summer. The summer isn't just about music. The campers have plenty of time each day to try the other activities at the camp like water sports, skateboarding, horseback riding and the theater camp. Please give us a call (800 634-1703) to arrange a visit to the camp grounds or to talk to the camp executive staff. Visit the rest of our site to see the diversity of activity you will have to choose from at French Woods.